You often hear how AAA games don’t have the kind of pre-production time you’d expect, with projects often going into full production before anyone has a clear idea of what they’re making. Rise of the Tomb Raider feels like one of those games, as most of its story is thin and poorly thought out. I was excited to play Rise of the Tomb Raider, being a fan not just of the last game, but the series as a whole. With the last game the devs raised the bar, creating a very interesting jumping off point for future installments. Unfortunately they don’t seem to have had any good idea for where the series is supposed to go. What you end up with here is a hodgepodge of ideas from Uncharted and Assassin’s Creed, with most of what happened in the last game completely forgotten. When you’re in control of Lara, the game feels just as good as the last game. The feeling of climbing, sliding, shooting etc is all very well done, and it’s no problem at all that this basically plays exactly the same as last time. They haven’t run this system into the ground just yet. The way the game is paced feels perfect, with all the different elements getting just enough screen time for maximum effect. In general this feels like a better game to play than the last one, and is a big part of why I enjoyed this game despite the story being disappointing. You just can’t make the exact same game a second time, wrap a different story around the systems, and expect it to come out the other end in a coherent manner. In Rise of the Tomb Raider I couldn’t buy into the villains, or Lara, or her allies, or the setting, or almost anything that was going on in the story. I liked the ideas on kind of an abstract level. But the way the story plays out is borderline incomprehensible. Events seem to happen out of order, and characters are as thinly developed as it’s possible, with audio logs acting as an emergency measure to add motivation and depth (in a way that does NOT work btw). In the last game, Lara made sense to me. As the violence escalated, her willingness to go along with it made sense, as she was turning more feral, looking less and less like a normal person. In cutscenes the contrast between her wildness and her companions became more and more extreme. In Rise of the Tomb Raider that Lara seems to be gone. In every scene she seems kind of normal, even in later parts of the game. She doesn’t go through any kind of journey like last time, nor does she seem to have any baggage left from the previous game, which is strange. Much of the her motivation this time is around her father’s legacy, and the things he left undone before his death. Remember that father figure mentor guy from the last game? Because this game didn’t. The more I think about the details in the story, the less it all makes sense. Like doesn’t she love historic artifacts? Then why are many of the challenges designed around destroying them? I didn’t do some of them because it felt like sacrilege. One moment the native villagers directly say to Lara that she’s a friend, just before she goes off and robs their ancient tombs within eyesight of the village. Is she just pulling the wool over their eyes? Is this some allusion to how the British empire managed to spread back in the days? She tricks everyone into thinking she’s a friend, all while robbing them of their historic artifacts and leaving the rest in a pile of dust. The story doesn’t acknowledge this aspect at all. Part of the appeal of the Tomb Raider series is getting to explore old mysterious ruins in exotic locations. They kind of botched part of that here, as you visit old soviet era factories and interact with locals who somehow all speak English without an accent. One of my favorite moments of Uncharted 2 was when you’re in Tibet and is led by a guide who doesn’t know a word of English. 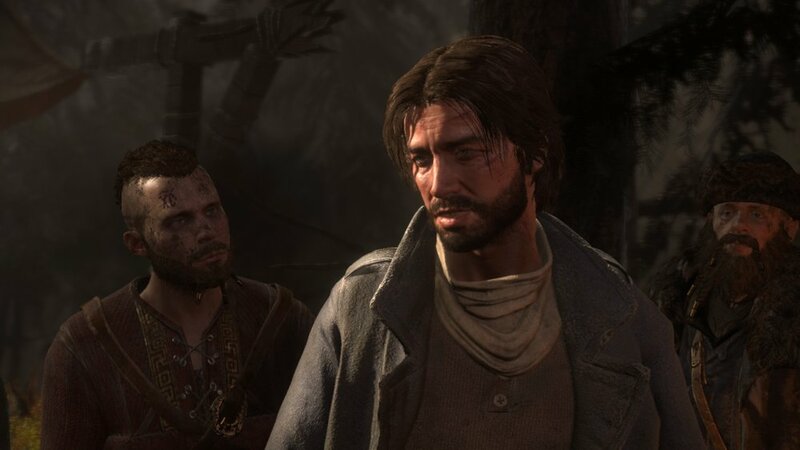 The environments in Rise of the Tomb Raider are very similar, but they for some reason decided that the people of North Asia should just look exactly like the island dwellers in the last game. Feels like they’re wasting the potential of the setting and kind of missing the point of making a game like this. They might as well have set the game in Canada instead if they weren’t interested in presenting other cultures to the player. Instead you get a strange contrast between the ruins & artifacts right next to the supposed descendants of those cultures still living there, not displaying any resemblance to those cultures in any way whatsoever. I’m just guessing this stems from the project being so poorly thought out before they started making it. If they knew in advance where the story was going to take place, they probably wouldn’t have made them like this. But for all my complaints, I still had a great time playing Rise of the Tomb Raider. The way the exploration and combat feels is about as good as you can get from the genre right now. Just being in the world, looking at it, moving through it, hearing it, are all critical aspects for a game. And this game nails all that. Some of the set pieces feel overindulgent, throwing in more explosions than the story had earned. But when the finale rolled around, the way it built up to a crescendo of everything exploding and falling apart was very nicely done. I was hoping for more, but even so this is an easy recommendation. It’s highly unlikely you’ll have a bad time with this. It just doesn't inspire any confidence that the series will ever top the last one.